Are you looking for a kitchen base unit with 2, 3, 4 or 5 drawers for your kitchen? We are able to supply any of these variations and can also provide kitchen drawer packs which are customised to fit a particular space. 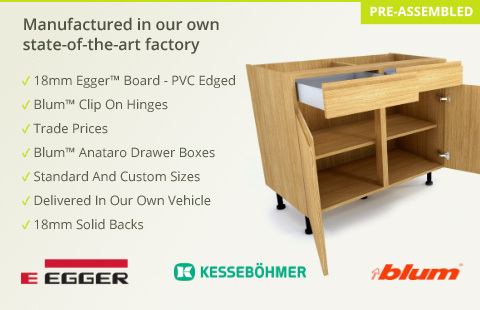 All our drawer packs and kitchen units are UK manufactured and designed with both quality and value in mind.